The purchase of 56 The Esplanade adds to a collection of five other properties Allied owns north of the site, from 35 to 49 Front St. East. Allied says 56 The Esplanade was purchased for $60 million, and was financed via a portion of the proceeds of its most recent unsecured debenture financing. “This is a strategic acquisition for Allied, in that it augments a large assembly we’ve made over time in the St. Lawrence Market area,” Allied president and CEO Michael Emory said in a release. “It affords us a reasonable current yield, as well as a property-specific intensification opportunity and a larger intensification opportunity that we can pursue in conjunction with 35-49 Front East, the assembly we own to the north of the Property. “We do not expect to pursue either intensification opportunity in the near term,” Emory said. 56 The Esplanade is a class-I building, built in 1903 for a manufacturer of flour milling equipment, which has been renovated and retrofitted during the past three decades, Allied says. The site is on 26,261 square feet of land, and the building contains 76,112 square feet of gross leasable area. It is 98 per cent leased. The property is expected to be neutral to Allied’s funds from operations per unit at the outset, but to become “modestly accretive” during the first five years of ownership. Allied has been building its “large and strategic” Assembly near the St. Lawrence Market since its initial public offering in 2003. 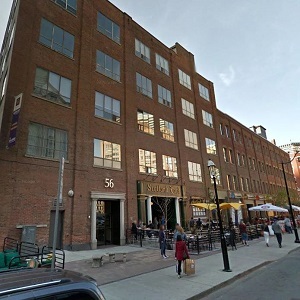 At that time, it purchased 35-45 Front St. East, adding 49 Front East in 2010 and 47 Front East in 2016. The properties are income-producing, have “historically designated” facades and include 2227 feet of uninterrupted frontage on the south side of Front St., as well as 39,203 square feet of underlying land. Allied is an unincorporated closed-end real estate investment trust based in Ontario. It is a leading owner, manager and developer of urban office environments for business tenants in major Canadian cities. Allied owns properties in nine urban markets, comprising more than 11.5 million square feet of leasable area, with another 630,697 square feet under development. The firm specializes in an office format created through the adaptive re-use of light industrial structures in urban areas that has come to be known as class-I”. Allied’s objectives are to provide stable and growing cash distributions to unitholders and maximize unitholder value through effective management and accretive portfolio growth.